With the help of Rob Carson, Program Administrator of the Marin County Stormwater Pollution Prevention Program, Public Works and Community Development met to learn about stormwater systems, and the rules and regulations that govern discharge to our creeks and bays. About 25 city employees attended the two-hour training at City Hall. 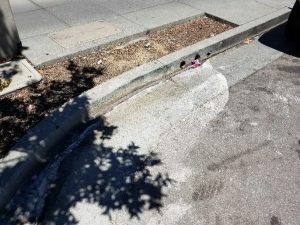 The City, under a permit issued by the Federal Government and the California Water Resources Board, is allowed to discharge stormwater into creeks and the bay as long as the water is clean and free of garbage, chemicals, and other contaminates. While Public Works administers the permit, strong collaboration with Community Development is key to ensure we continue to meet the permit requirements. This includes working with building inspectors to identify soil runoff from construction sites, as well as, working with planners to develop facilities in new developments that limit stormwater runoff. Rain gardens, or bioretention facilities are great ways new developments can treat water and limit the amount that goes down the storm drain. 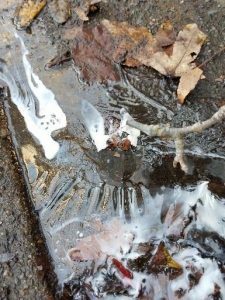 The more storm water that can go back into the ground, the less water that goes down the creek and our pump stations in large rain events! The two-hour joint session was a great way for the two departments to better understand the roles and responsibilities and a lot of good discussions came out of the training. These discussions will continue as both departments work more closely to better administer and enforce our stormwater permit. 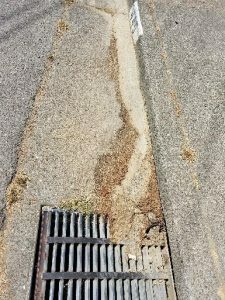 Some of the key takeaways were that only clean rain water is allowed down the storm drain. 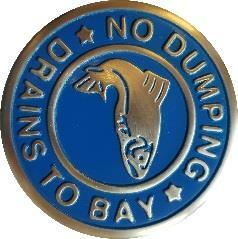 We can never have enough eyes looking out for ourcreeks and bay, so if you see an illicit discharge, call 415-485-3355 to report it.